Introducing the FantomSport™ AC, the newest addition to our legendary line of Suntime™ Sport watches. 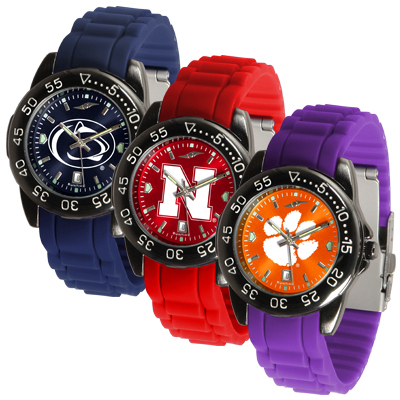 The FantomSport™ AC boasts a bold but not in-your-face image of your favorite school logo on an AnoChrome dial with a color-coordinated silicone band. The watch features a dark gunmetal finish, a date calendar display and a rotating bezel/timer that circles the scratch-resistant glass crystal. The FantomSport™ AC will prove to be a fan favorite for all occasions - from the game day to the opera!